Assistant Chief Brittain is responsible for GPD’s Support Operations, which includes the Criminal Investigations Division consisting of Detectives, Juvenile Investigations and the Identification Bureau. Support Operations also includes the Special Investigations Division, which provides investigations into vice-narcotics and organized crime with a focus on drug trafficking, public corruption and Homeland Security. Assistant Chief Brittain joined the department in 1994 after serving four-and-a-half years as a Gastonia Police Explorer, and was promoted up through the ranks to Assistant Police Chief in charge of GPD’s Support Operations in 2014 and Field Services in 2017. He has served in the Street Crimes Unit, Patrol and SWAT. His accomplishments include implementation of the department’s motorcycle program as well as facilitation of task forces, implementation of 800 megahertz communications, manpower and planning. 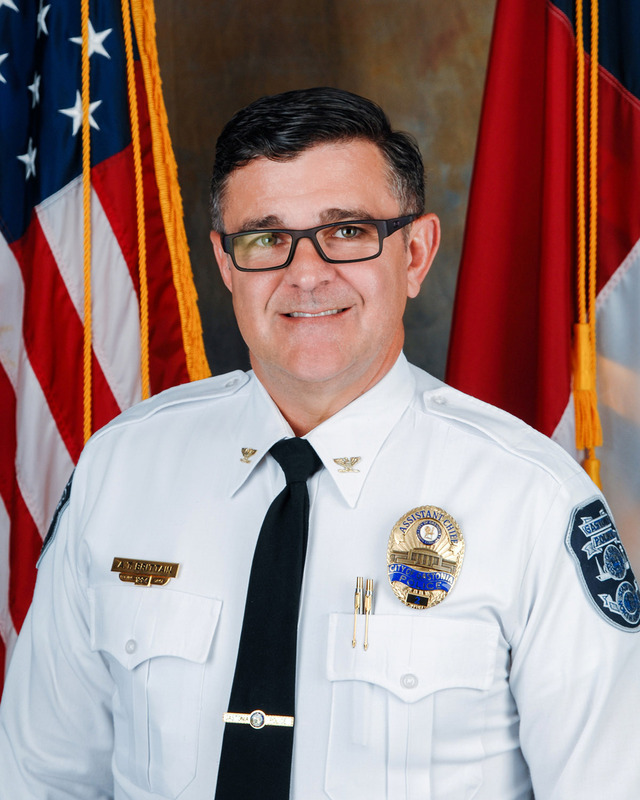 Assistant Chief Brittain holds a bachelor’s degree in criminal justice from Gardner Webb University, and a master’s degree in justice administration from Methodist University. He holds the State of North Carolina’s Advanced Law Enforcement Certificate, and is a 2013 graduate of the FBI National Academy’s 254th Session. Assistant Chief Turas is in charge of Field Services, which includes all uniformed officers in Patrol, the Street Crimes Unit and the Traffic Bureau. Patrol officers provide the department’s first response to police calls for service in the East, West and Central Districts. The Street Crimes Unit addresses problems such as an environment of violence, community disorder or nuisances that persist after numerous calls for police service. The Traffic Bureau handles traffic accident investigations and enforcement. He also oversees the Special Situations Unit which includes SWAT, the Bomb Squad, Hostage Negotiators, and Tactical Team/Field Force officers. Assistant Chief Turas joined the GPD in 1998 after serving for eight years as a paramedic. He has commanded the Patrol Division, Criminal Investigations Division, Special Investigations Division, and Administrative Services Budget and Finance. He holds a bachelor’s degree in Creative Arts from UNC-Charlotte, a masters in Justice Administration from Methodist University, and the State of North Carolina’s Advanced Law Enforcement Certificate. He is a graduate of the FBI National Academy, the FBI and US Army Hazardous Devices School, West Point Leadership Program, and the Chamber of Commerce’s Leadership Gaston. 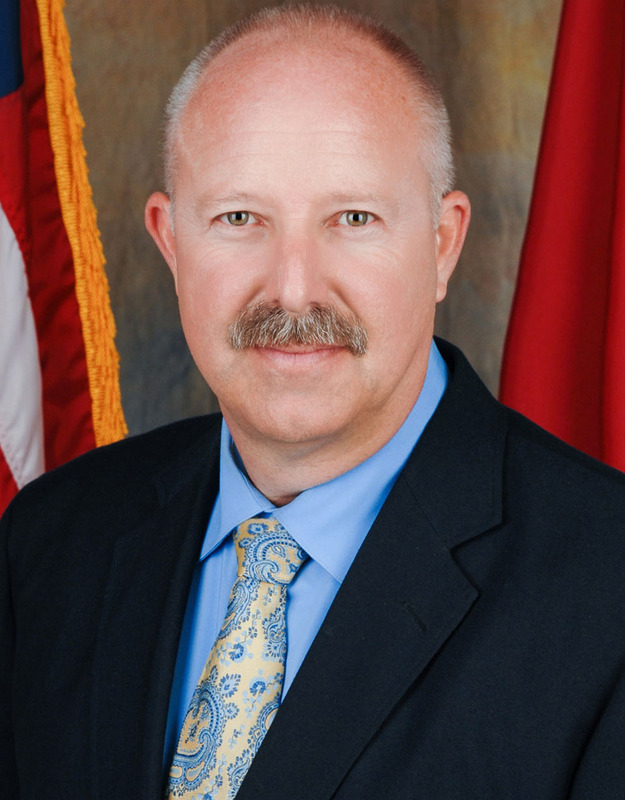 He serves as chairman of the Human Trafficking Workgroup-Gaston, as a board member with the Gaston Controlled Substance Coalition, and coordinator of the Pink Patch Project. He also serves as a professor of Criminal Justice Studies at Gardner-Webb University and Gaston College, and as a program director for the University of North Carolina at Charlotte.